Hygiene is one of the most important factors in life for UK consumers. If we take a look at adult incontinence in the UK, according to recent reports, in 2016 adult incontinence grew by 6 percent in current value terms to reach sales of GBP183 million. 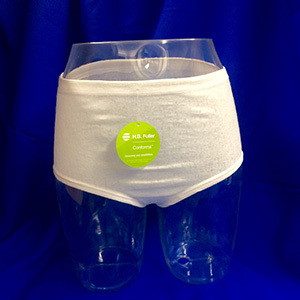 Sales were boosted by demographic changes and campaigns to make incontinence less of a taboo. For example, adult incontinence products are not only aimed at older people, but also women who have recently given birth. It’s true that many people continue to be ashamed of incontinence, and so they don’t buy the appropriate personal hygiene products but instead purchase sanitary protection items, but this situation is changing as manufacturers seek to reassure people that incontinence is nothing to be ashamed of. Today, light adult incontinence has a bigger target audience than moderate or heavy adult incontinence, because light incontinence is often a problem for women who have recently given birth or are going through menopause. Heavy incontinence tends to affect older people, or as a consequence of medical disorders, injuries or operations. With changing demographics, it is possible that in the future moderate or heavy adult incontinence will gain ground on light adult incontinence. But, the good news is that there are a number of hygiene solutions already available to treat incontinence, catering for varying consumer needs. The most common personal hygiene products are pads, which come in different sizes for different levels of incontinence, for example slim or medium/heavy. Furthermore, for moderate/heavy incontinence, pants and stretch pants are available. Innovation in this category has been focused on enhancing style and fit so that users feel safe and comfortable when wearing these products. Our new ConformaTM stretchable adhesive enhances style and fit so that absorbent product designers can create an all over stretchable and discreet product for future consumers. Conforma adhesive adapts comfortably to a world of individual shapes and sizes when used to create a unique stretchable hygiene solution. It was a big hit at INDEXTM 17 as it reached the finals in the INDEX Awards and Kristy Beckman’s speech was a full house! This state-of-the-art adhesive has unique stretchable and retractable features and is applied with standard hot melt equipment. When paired with an extensible nonwoven it creates a conformable fabric that hugs the curves of the body. Our solution offers exceptional comfort, performance and cost-effectiveness and can address some of these fit and comfort challenges that our industry faces today with absorbent product design. Pretty cool right? Every day at H.B. Fuller, we look at the serious stuff and ask the big questions. And, because we are thinkers and doers, we create new generation products like Conforma – adhesive solutions that help our customers deliver the things that matter to people all over the world. If you want to discover more about these market challenges and how Conforma adhesive can help, click here to hear a recent presentation given by Kristy Beckman, our Global New Product Director, at Hygienix 2016 on this topic, or watch our video.